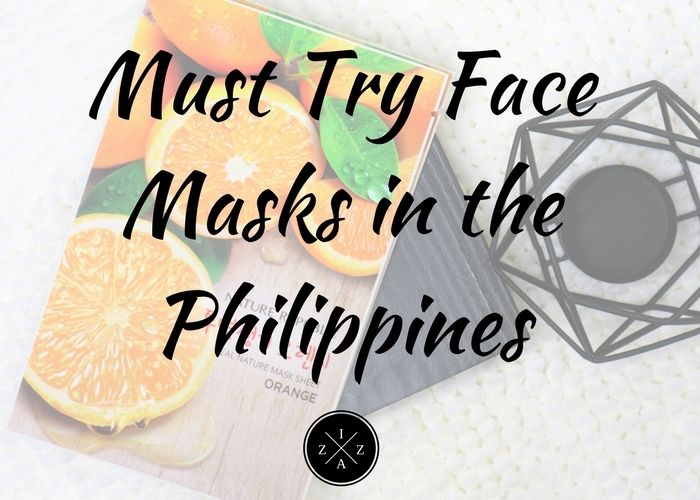 Today I will try to share to you the must try face masks in the Philippines. Face masks are huge part of my skincareroutine. I enjoy using one for pampering. I can leave it on my face for 15 – 20 minutes and do something productive while waiting for it be absorbed. And now I will show you exactly some of the best face masks available in the Philippine market. 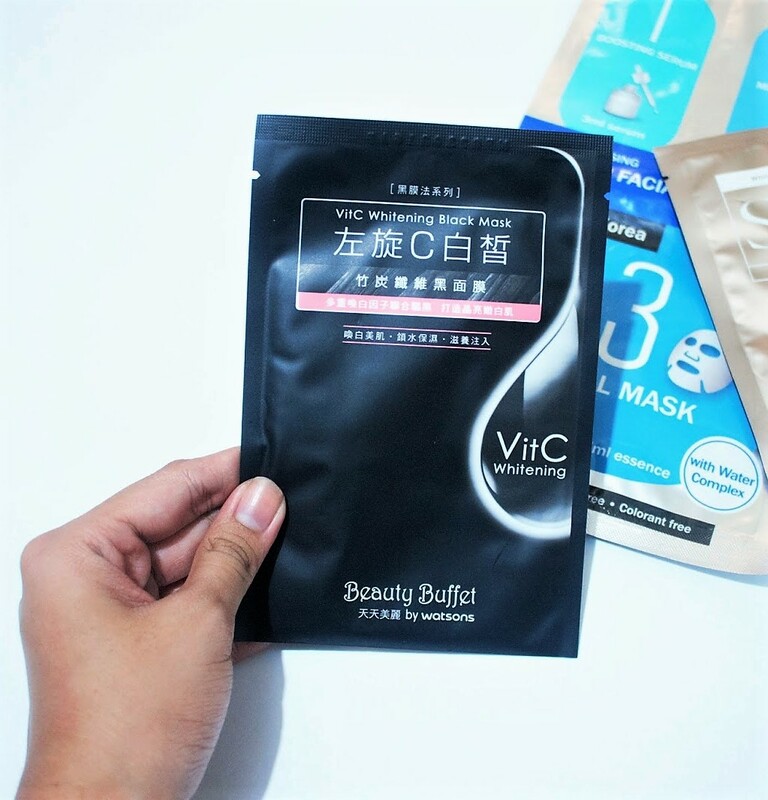 You can easily order any of these face masks online through Lazada or by going to beauty store nationwide. When L’oreal released its pure clay mask line last July I was SHOOKED! They are just the very mask needed for those who have oily skin like me! L’oreal Paris Pure Clay Mask Iluminating – comes with British Kailin Clay + Lemongrass Extract which makes the skin not just soft and radiant by instantly renewed at the same time! L’oreal Paris Pure Clay Mask Anti-Pore – infused with Moroccan Lava Clay and Rosemary Extract, two key ingredients that can obstruct pores and may regulate sebum secretion. Love it! L’oreal Paris Pure Clay Mask Hydration – has Bentonite Clay and Lemon Balm Essential Oil as well as other hydrating essences for those looking for intense moisture! The best part about the L’oreal Paris Pure Clay Mask is you can mix and match each depending on what part of your face needs illumination, anti-pore and/or hydration! To put it simply you can use one mask variant all over your face or combine masks to suit your need! Plus because it comes with a jar and can be spread easily you can also apply directly on your neck area. These masks from L'oreal are available for 399pesos only for 50ml amount of product already. You can honestly use a jar or two for months! 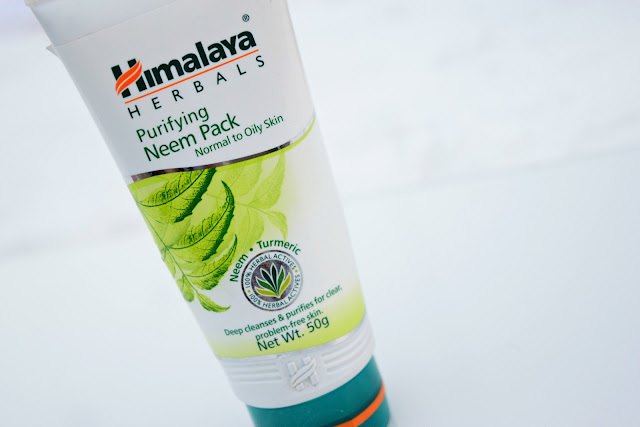 Kikay si Maria’s review on Himalaya Herbals Neem Face Pack will make you want to try this product too! Neem leaves are important in Indian skincare routine. It is a proven ingredient that can help with clearing acne, lightening blemishes, treating dry skin and delaying signs of ageing. Aside from Neem, turmeric and multani mitti are also present that can cool and soothes the skin, improve texture and may leave you with clear and problem-free skin. 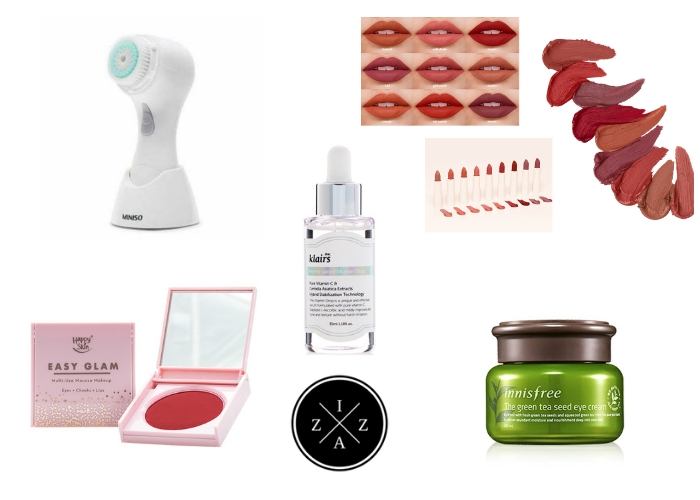 I have featured other skincare products from Himalaya Herbals before, and everything is seriously A-MAZ-ING. Their products are budget-friendly and effective at the same time. Up to this day I still use and recommend the Himalaya Herbals Clear Complexion Whitening Day Cream because it’s awesome! This mask is only 179pesos and is honestly hard to find in the market, even online. You can opt to try Himalaya Herbals Almond and Cucumber Peel off Mask too. Have you ever tried the Aztec Secret Indian Healing Clay? I always see this whenever I visit Healthy Options but I have yet to try one for my own. 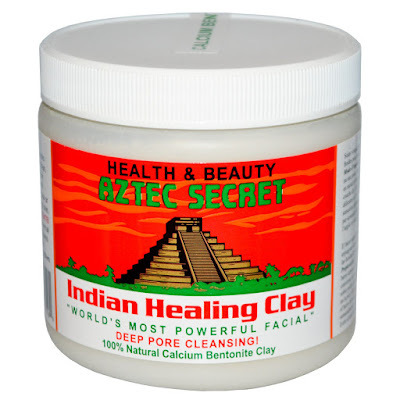 The Aztec Secret Indian Healing Clay claims deep pore cleansing when used. It received a number of recognition here and abroad and became a famous treatment for those who suffer from oily skin too much. Mix AZTEC SECRET INDIAN HEALING CLAY with equal parts of apple cider vinegar* or water. It is best to use a glass, pottery, or wooden bowl. Stir the mixture until it is a smooth paste - add more clay or liquid as needed. Apply 1/8 to 1/4 inch thick layer of clay to the face or other areas and let it dry. Drying times vary, but times are generally 5 minutes for delicate skin and 15- 20 minutes for normal skin. You will feel a pulling and tightening sensation. Remove clay by washing with warm water. A slight redness may appear after removing the clay. This is normal and will disappear in approximately 30minutes. Mix equal parts of Aztec Secret Indian Healing Clay with apple cider vinegar (raw, organic is best) in a bowl. You should use glass, plastic or wooden bowls and spoons - no metal! Apply to face and/or body and allow to dry up to 45 minutes. Rinse well with warm water only. Mix equal parts of Aztec Secret Indian Healing Clay with brewed GREEN TEA and 500 mg. of Vitamin C with bioflavonoids (open up a capsule). Apply to skin, allow to dry and rinse. *Green Tea is currently being studied for its antioxidant, antibacterial, and cancer killing properties. Mix equal parts of Aztec Secret Indian Healing Clay with brewed Pau d'Arco Tea and 5 drops of Tea Tree Oil. Apply to feet, especially in between the toes, let dry 30 minutes and rinse well in warm water. Mix equal parts Aztec Secret Indian Healing Clay with apple cider vinegar, add1 tablespoon raw honey. Apply to skin, allow to dry10 minutes and rinse with warm water. This mask is similar to a mask used by Cleopatra in her beauty ritual. Aztec Secret Indian Healing Clay is available in Heathy Options for 429pesos for 454grams. I also found a 100gram version available on Lazada. You can check here. This is another great mask to use if you want to de-stress. This mint green paste cleans the pores tightly and tightens the skin as well. It the kind of mask you will enjoy using on an overnight with your girlfriends! You will feel a cooling and tingling sensation as it dries. The Queen Helene Mint Julep Masque make skin more supple and refreshed without drying it. It is also suitable to use for oily and acne prone skin. I bought mine at Healthy Options for 320php only but the last time I checked in their branch at Greenbelt the lady says they no longer cater the mask. In case you can't find this mask anymore you can also try Lush's Mask of Magnaminty, a little pricier than Queen Helene and offers the same exact feel and effect on the skin! For days when you feel lazy, sheet masks are the best solution. The Beauty Buffet Vitamin C Whitening Black is a keeper for those who want brighter complexion in an instant! The mask itself is color black and has a texture into it (the side that didn't touch the face). I love the cooling sensation it gives upon use even thought I didn't put it in the refrigerator. Love that the Vitamin C Whitening Black Mask by Beauty Buffet is overflowing with all the goodness that I was able to put some on my neck too. Clickhere to read the rest. 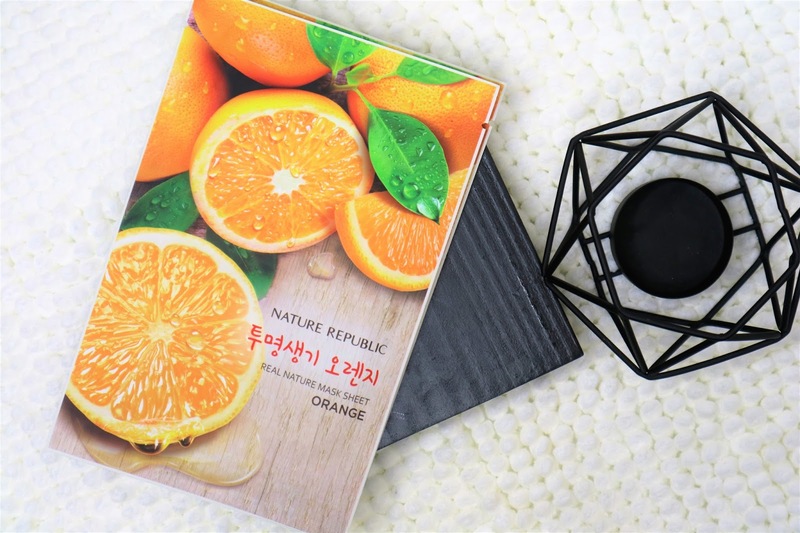 Nowadays this Vitamin C Whitening Black is available for pack of five so if you see one on Watson go grab and try it for yourself. A pack by the way costs 60pesos only! Other Beauty Buffet sheet masks I’ve tried are the Appleand Evening Primrose and theCharcoal and Cypress. Nature Republic is such a good brand if you want to hoard for Korean face masks. 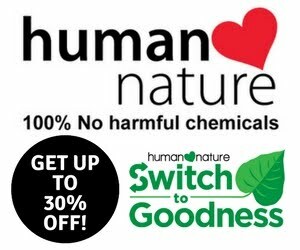 Not only are the Real Nature Face Masks available on wide variants like Shea Butter, Bamboo, Cucumber and Green Tea but also can sometimes be bought on a Buy 10 Take 10 promo for just 550pesos! Sheet Masks are the most common and most economical type of face masks available today. Each sheet can make your skin feel toned and highly moisturized. I am also using their Aloe Vera Gel as a sleeping mask which by the way is a game changer for my skincare routine!